This Oscar nominated crime drama is based on the true story of a detective who sets out to bring down a heroin kingpin who is smuggling drugs from the Far East into America. A violent depiction of how a Cuban immigrant took over the drug empire in Miami. A classic crime drama from critically acclaimed director Brian De Palma. 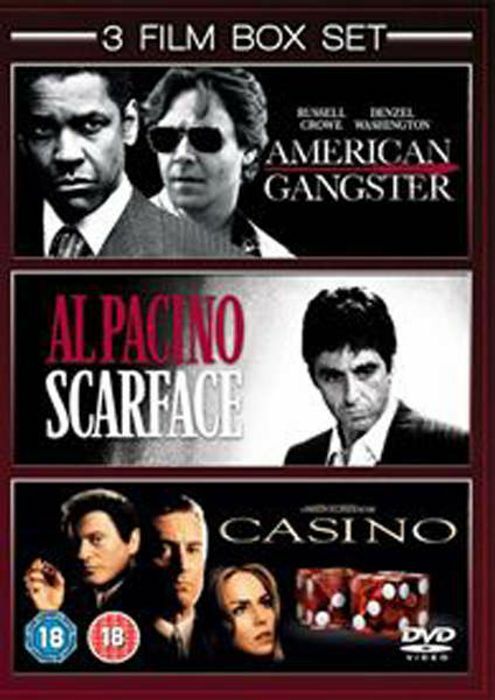 This violent crime drama, based on a true story, focuses on the conflicts between a Jewish-American top gambling handicapper (Robert De Niro) his wife (Sharon Stone) and his violent mobster friend (Joe Pesci) as they attempt to oversee the day-to-day operations of a top casino in Las Vegas.